Sydney Harbour is an epicentre of excitement during the festive season and being outrageously spoilt on-board the True North is the penultimate option to experience all! Start the New Year with a bang as we park the True North ‘bridge-side’ for one of the world’s most spectacular fireworks displays. And then spend the next 3 days soaking-up the tranquillity of the Hawkesbury – wilderness on the doorstep of Australia’s largest city! No need to call a taxi – you don’t even need a reservation for dinner! A truly very different way to spend this joyous time of year. Visit Sydney’s famed Taronga Zoo or take-off in the helicopter for a scenic flight over the Harbour. Spend the afternoon swimming and beach combing on the squeaky white sands of either Quarantine or Store beach as the chefs prepare one of the True North’s renowned barbecues! Then enjoy a leisurely cruise to Middle Harbour before taking up one of Sydney’s best vantages to witness the Harbour Bridge fireworks display – Happy New Year! Enjoy breakfast in the beautiful surrounds of Pittwater. Morning activities will include a walk to the Barrenjoey Lighthouse, perhaps a little beachcombing and, a scenic cruise past the Pittwater yacht clubs before the TRUE NORTH enters the tranquil waters of the Hawkesbury River. 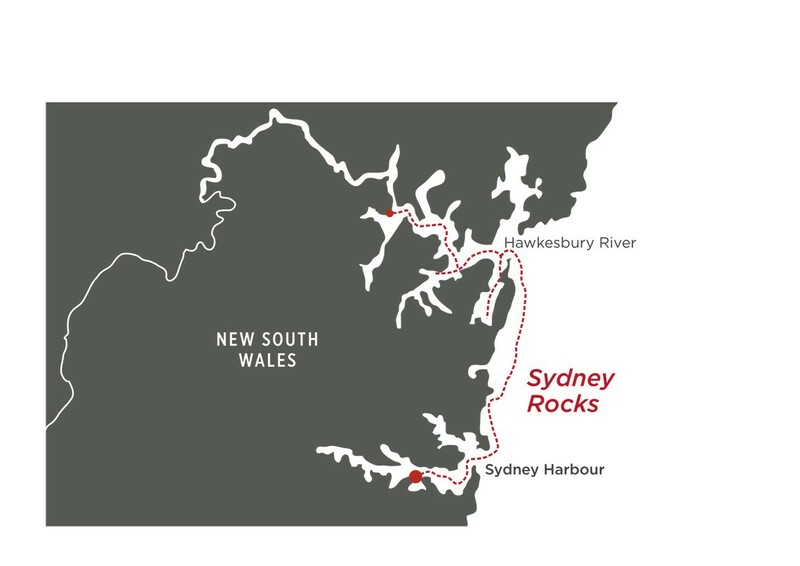 There may also be a chance to walk from Longnose Point to Flint and Steel Bay through the Ku-ring-gai Chase National Park – Australia’s second oldest national park. A helicopter flight to the Hunter Valley and a wine tasting at our feature winery is sure to be a cruise highlight! Wake up to the shrill of the Jerusalem Bay cicadas and then join our local guide as we explore beautiful Cowen Creek. Stand in the very spot the Constitution of Australia was written and see the rock art of those who came before! Enjoy a refreshing swim at one of the Creek’s many sheltered beaches and rinse-off under a waterfall! Whilst you are enjoying lunch, the TRUE NORTH will cruise to Middle Harbour before slipping through the narrow channel at Split Bridge and into delightful Bantry Bay. As the sun starts to set over mangrove-lined waters, join an infamous TRUE NORTH ‘raft-up’ and then it’s back on-board for another cruise highlight – dance the night away with our live band! This Discovery Cruise (maiden voyage) offers rare opportunity to explore the acclaimed Louisiade Archipelago – one of the great island arcs of the South Pacific stretching some 400km along the ......click here to read more. For those pressed for time – here is the flagship Kimberley Ultimate itinerary condensed into a single week voyage! The Snapshot itinerary features several Kimberley icons including the King George ......click here to read more. Our most refined Indo-Pacific voyage, New Adventures in Paradise, is packed with diverse destinations and fascinating experiences. From the Bismarck Sea to the beautiful Louisiade Archipelago, this itinerary tracks through ......click here to read more.